The mystery that attracts Howard Mansfield's attention is that some houses have lifeare home, are dwellings, and others aren't. Dwelling, he says, is an old-fashioned word that we've misplaced. When we live heart and soul, we dwell. When we belong to a place, we dwell. Possession, they say, is nine-tenths of the law, but it is also what too many houses and towns lack. We are not possessed by our home places. This lost quality of dwellingthe soul of buildingshaunts most of our houses and our landscape. 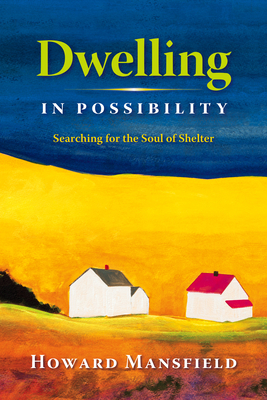 Dwelling in Possibility is a search for the ordinary qualities that make some houses a home, and some public places welcoming. HOWARD MANSFIELD is the author of seven books, including In the Memory House, The Bones of the Earth, and The Same Ax, Twice, which The New York Times said was "filled with insight and eloquence. A memorable, readable, brilliant book on an important subject. It is a book filled with quotable wisdom."